Yesterday, an art illustrator named AnnaMarie Hope uploaded to her Instagram account @everysilversea a pic of what appears to be Barack Obama dressed as Baphomet, standing next to Artur Davis. Note: Artur Davis was a national co-chair for Obama’s 2008 presidential campaign; a U.S. Congressman (D-Alabama) from 2003 to 2011; and a candidate for the Democratic nomination for Governor of Alabama in the 2010 election. 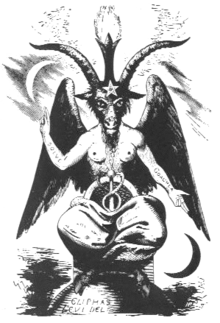 Below are the Obama Baphomet pic (on the left) next to a pic of Obama (right), for comparison. Hope quickly took down the pic, claiming she’d received “too much hate & not enough support”. To check if the image has been digitally altered from another photo, the first thing to do is is do a reverse image search to see if the original image appeared online or if there ever was an original image. After uploading the image to Google image search and Tinyeye, the photo pulls zero results from either service, meaning, if it was altered from another image, then the original image has never been uploaded to the internet, which seems unlikely. If the image has been photoshopped as some may suggest, then it would require a very high skill set in image manipulation, that would go way beyond the typical prank image levels. It’s also unlikely that Hope would have such professional skills without a mention of it anywhere. The fact that Miss Hope doesn’t appear to have obtained this image elsewhere, and that she couldn’t have faked the image, suggests that she took the photo herself. This entry was posted in Evil, Liberals/Democrats/Left, Obama, occult, Satanism, United States, US Presidents and tagged AnnaMarie Hope, Artur Davis, Baphomet. Bookmark the permalink. that was what america, supposedly, voted for…twice? 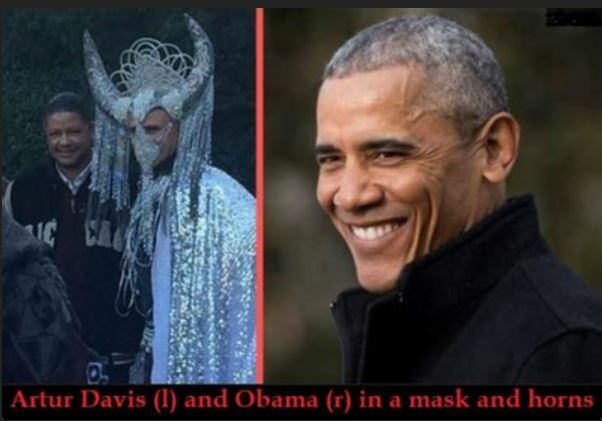 what POTUS has ever worn a costume that celebrated satan? I wonder if he’ll admit he was under the mask or will he just lie as usual? Annamarie is a coward to remove the photo. Appropriate for an Obama supporter. I checked Hope’s Instagram around the time the pic was posted, 20 Jan 2017 and noted a pic of Bernie Sanders whom she adores, and if this opens it will be seen that she also is a satanist …….. Nothing they do surprises me anymore. Maybe he doesnt want to be outdone by Michelle. A Satanic Looking Drag Queen with Horns Reads to Little Kids at Michelle Obama Public Library in Long Beach. A new mural of former first lady Michelle Obama, painted on a building in the Chicago neighborhood where she lived as a child, dipicts her as an Egyptian Queen. Kanye also posted it on twitter ……. It is no surprise, next he’ll be dressed as a woman? He really is a disgrace to the Office of a President. There is so much filth in America and the UK said about President Trump, yet he has worked hard since he became President he has done so much good, but there are those who cannot find any praise for him. 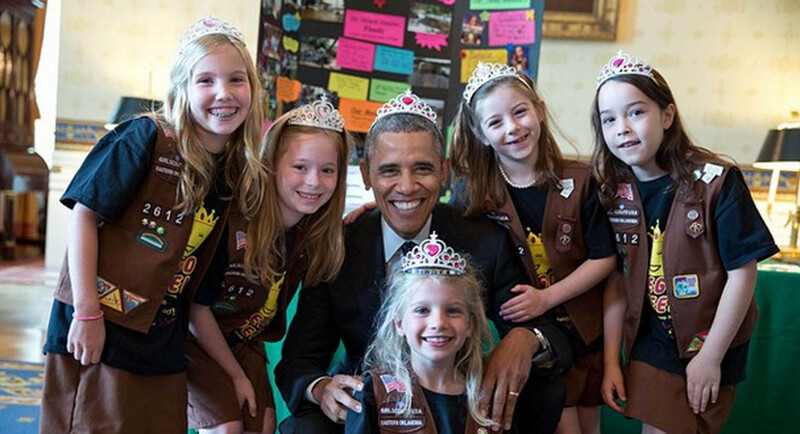 They think Obama is great, this just proves this picture what a full of c**p man he is. Ogooma of Kenya is, after all, a mooooooooooooooooslim.